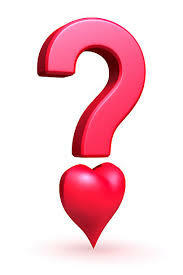 Do you understand your heart health? Do you know how high blood pressure or high cholesterol affect your heart? What about diabetes? Understanding your heart health is not just about eating healthy and exercising, although a crucial step in maintaining heart health, it is about understanding your risk factors and treating them correctly. Eating healthy and getting regular exercise are the first steps in keeping our hearts healthy. Having a positive outlook towards a healthy diet and exercise makes maintaining this easier. Avoid the negative that can be attached that makes it a chore. For example find an activity that you enjoy. It may not be the gym but perhaps you like swimming or enjoy sports and can join a team. Eating healthier does not mean you have deprive yourself from enjoying all foods. You just want to maintain a healthier balance. 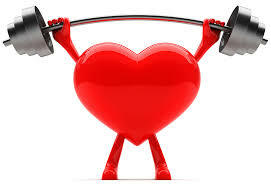 If you have been diagnosed with high blood pressure maintaining a healthy diet and exercising regularly are important. Maintaining a healthy body weight can help a large percentage of people with their blood pressure. Regularly exercising can also help lower your blood pressure to a healthy level. You will also want to reduce stress and be compliant to any medications your doctor has prescribed for you. Be aware of your numbers. Checking your blood pressure regularly and knowing your numbers is crucial to maintaining heart health. Any dramatic changes can be identified and treated early. High cholesterol directly affects our cardiovascular system. High cholesterol is an increase in fat within our blood. This fat can build up inside of our arteries increasing our blood pressure which increases the stress on our hearts. Get to know your cholesterol numbers and maintain healthy levels of both good and bad cholesterol. Healthy diets and exercise will help reduce bad cholesterol and increase good cholesterol. Medications may be needed to control your cholesterol. this should be discussed with your physician. Diabetes is a disease in which the body is unable to properly produce and process insulin resulting in an increased glucose in the blood stream. But how does this affect our heart health? Increased blood sugar (glucose) can result in damage to the artery and blood vessel walls. This damage can allow for cholesterol to build up or cause more severe damage such as aneurysms (a bulging in the artery wall that can rupture causing bleeding that can be fatal). Increased blood sugar can affect many other organs in our bodies from our kidneys to our skin. It can make fighting infections more difficult. If you are diabetic it is important to know your blood sugar and check it regularly. Comply with all medications and inform your doctor of any changes. Having any one of the risk factors mentioned about can increase your risk of heart disease (heart attack, angina, etc) by up to 25%. Having two factors increases that risk even more. 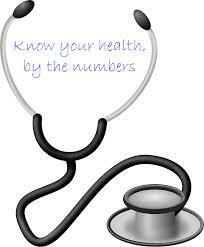 Be aware of your numbers and taking the proper steps to keep them controlled will only benefit your heart health. Of course there are many other contributing risk factors to getting heart disease. Risk factors such as physical inactivity, smoking, obesity and family history. All factors should be taken into account when evaluating your heart health. If you have any questions or concerns or are interested in taking steps to prevent heart disease and maintaining a heart healthy lifestyle speak to your physician.